Unlike previous years when the festival of Gudi Padwa was mired under the triple Tsunami of demonetisation, Real Estate (Regulation and Development Act) (RERA) and Goods and Services Tax (GST), this year, the festival aligns with much-improved buyer sentiment. Amid lucrative offers, property sales might head north during Gudi Padwa in Mumbai and Pune regions. Gudi Padwa marks the first day of the traditional new year for the Marathi community. It is a festival which is considered to bring luck and prosperity. Purchasing a home in India is regarded as the biggest decision of an individual’s life. History has it that some specific dates are considered highly auspicious by Indians for purchasing property and investing in other assets. In recent times, the festival has gained prominence due to the prevailing market condition. For instance, the Gudi Padwa festival in 2018 was a vibrant time for the industry, given the sluggish state of the Indian real estate market. Several developers across the country, particularly in Maharashtra, were desperately waiting for the festival to offload their existing inventory. While sales volume surged, they were significantly lesser than what developers had hoped for. This year too, developers across the country are gearing up and preparing for the forthcoming festival. Additionally, certain developers across the State find the festival an ideal time to launch new projects. According to Siddharth Vasudevan Moorthy, Managing Director, VASCON Engineers Ltd., “A slew of tax sops offered by the Union government in the Interim Budget coupled with the reduction in Goods and Services Tax (GST) rates on under-construction and affordable housing projects effective April 1, 2019, spell good news for the buyer community. 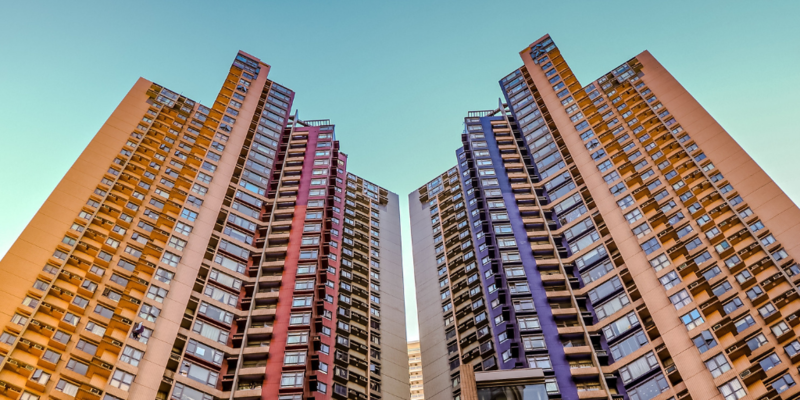 Not only will it benefit homebuyers in a big way, but it will also help the developers to clear their unsold stock.” Besides, the recent repo rate cut by the Reserve Bank of India (RBI) would lead to lower interest rates on home loans, making the festival of Gudi Padwa an ideal time to invest in real estate. 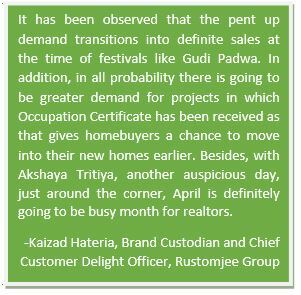 Historically, discounts and deals offered on Gudi Padwa have helped spurt housing sales. City-based realtors are lapping up on the chance and are leaving no stone unturned to woo homebuyers through various schemes, discounts and offers. For instance, a renowned developer is offering discount on Preferential Location Charges (PLC) equivalent to the floor number on limited stock. Free gold coin, ‘No pre-EMI till possession’, cashback on stamp duty and registration charges are some of the offers among others that are floated by the developers on this festival. With high decibel campaigns and plenty of discounts and offers floating in the market, there could not be a better time for homebuyers and fence-sitters to invest in real estate. Industry stalwarts, too, are pinning hopes on the festival, particularly the affordable housing segment which is witnessing remarkable growth due to the various sops offered by the government. A leading property consultant has even predicted a 10-12 percent uptick in sales during the festive season.